Calm and peaceful are probably not the words most use to describe November. Yet it is often this way. I would describe it as sublime. In comparison to the visual riot of color in October, November can seem dull and uninspiring. Yet it offers subtle beauty for the eyes and peaceful demeanor for the soul. 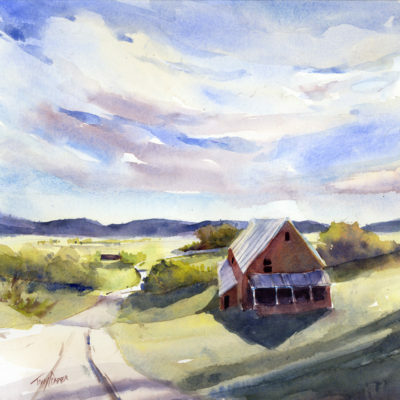 Painting is 7 1/2 ” x 11″, matted to the standard size of 11″ x 14″ for easy low cost framing . 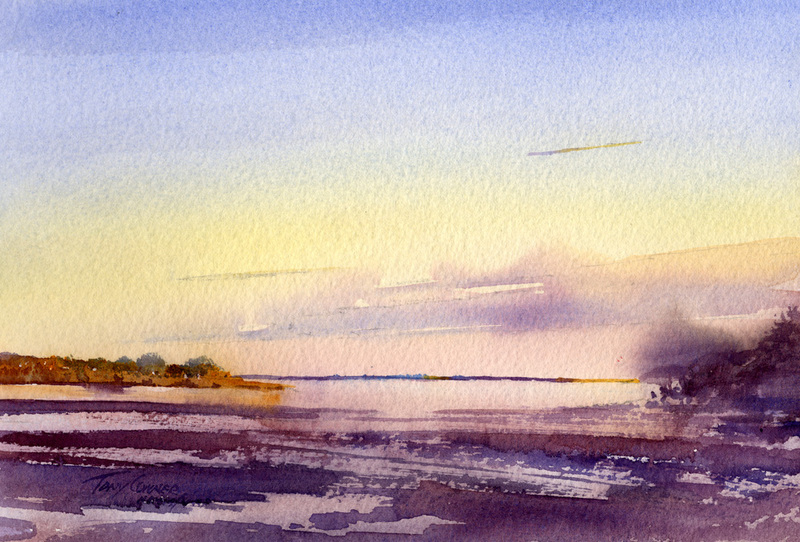 November has the added benefit of allowing one to paint a sunrise scene without getting up at 4am! This particular morning, exactly halfway through November found me along the north coast of Massachusetts and up just early enough to catch the western sky over the Ipswich River and salt marshes at sunrise. On clear mornings, there are many colors visible in the sky at dawn. The most attractive thing about them is the subtle and gentle transitions between each color and the reflections of these same colors in the water. 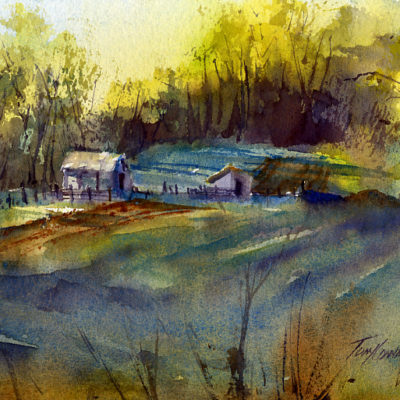 It is the type of scene that is perfect for the fluid washes of watercolor.